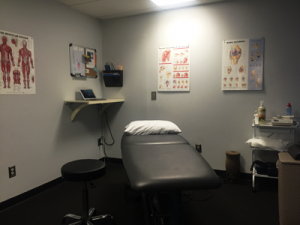 Located in Providence, you can recover faster and get back to life, at a convenient downtown location! 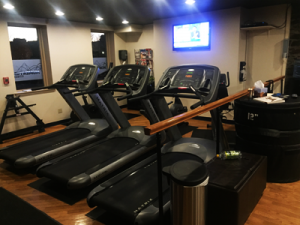 Located inside a fitness center (Momentum Fitness), we can easily transition you from your rehab program into a fitness routine if desired. 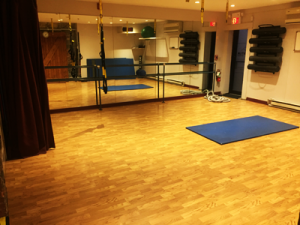 We have a wide variety of exercise equipment to help your rehabilitation including, elastic resistance bands, exercise balls, free weights, and more! 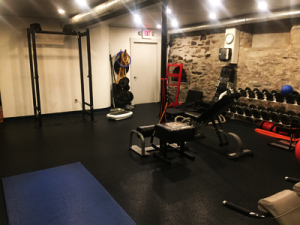 Full-service physical therapy room where we offer everything; from manual therapy and stretching to dry needling and cupping. We offer a variety of treatments that are all performed on 1-on-1 basis with a highly-skilled physical therapist.